Our personalized collection. Click on a design below to view and/or order. Email us if you want different color options. MEDALLION PILLOWS: Blue on blue plaid, blue on grey plaid, deep pink on deep pink plaid. 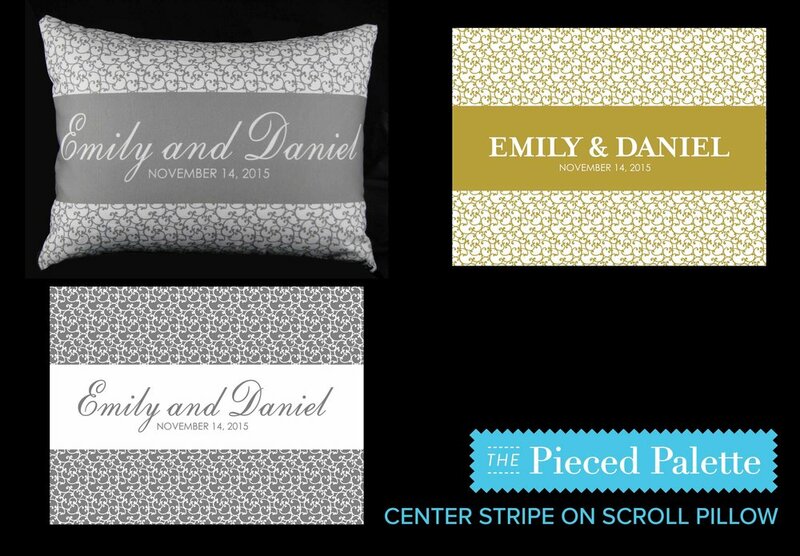 If you want different colors, email us at info@thepiecedpalette.com about a CUSTOM ORDER.